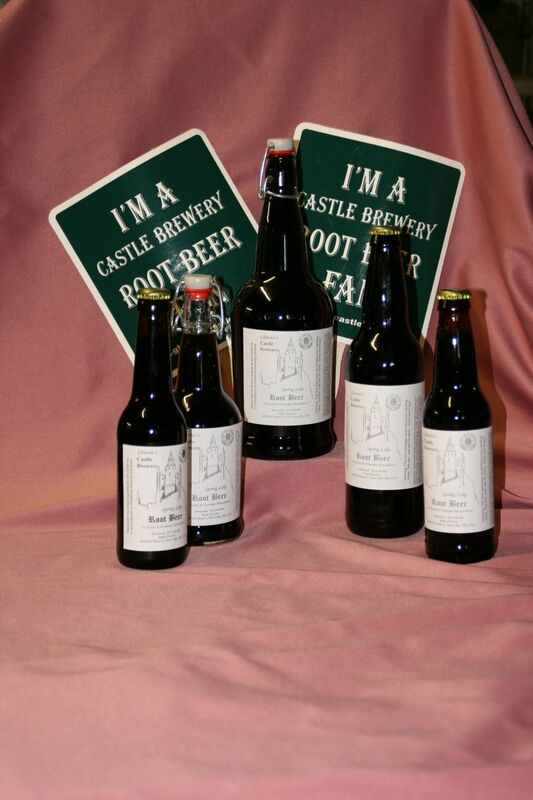 Spring Lake Root Beer Adds Eric’s Seal of Approval to Their Labels – The First Root Beer to do So! 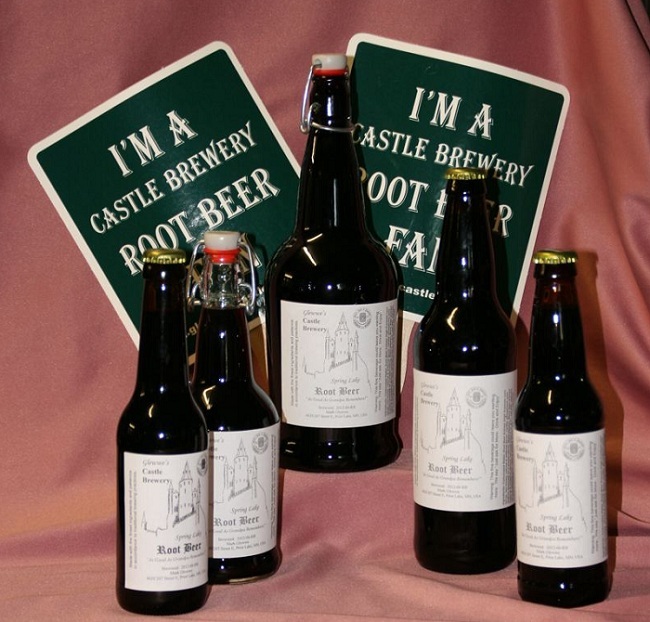 One of the world’s most delicious and unique root beers, Glewwe’s Castle Brewery Spring Lake Root Beer has just gotten even cooler. 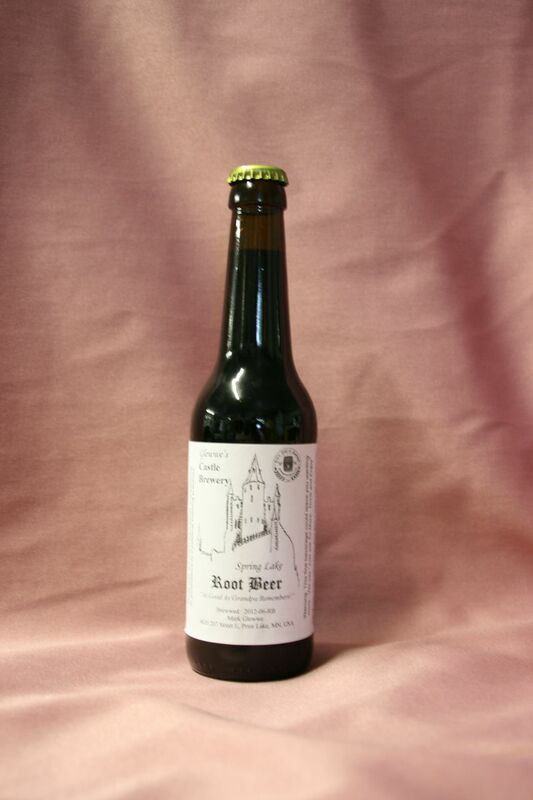 As the photos show, they have just added Eric’s Seal of Approval, which they so justly earned, to their labels in the top right corner above the castle. They are the first root beer to date to do so, though I’m sure they won’t be the last. True, the Seal is a little small on their label but it is still quite legible in real life. They had to request a special black and white version since they currently don’t print in color. I must say that this is the fulfillment of a dream I have had ever since I came up with the concept of the Seal of Approval, and thus my joy is overflowing. One more lifetime goal accomplished! So now if you’re ever in a store and want a good root beer but can’t remember if Spring Lake is worthy of imbibing, rest assured, my Seal of Approval will be there, reminding you that it is. Spring Lake Root Beer in all of it’s many forms. A closeup of the standard bottle. Well, if it’s good enough for Eric, then it must be great! Of course, since this root beer has been ordered by folks in Canada as well as China, it’s obviously made quite a name for itself over the years. True story. Let’s hope the distribution gets closer to where I live so I can get it more often. Or you can always move closer to the brewery. Oh, yea! You did! Good move.